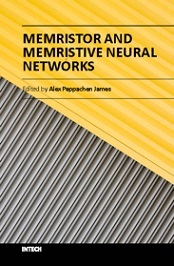 This book covers a range of models, circuits and systems built with memristor devices and networks in applications to neural networks. It is divided into three parts: (1) Devices, (2) Models and (3) Applications. The resistive switching property is an important aspect of the memristors, and there are several designs of this discussed in this book, such as in metal oxide/organic semiconductor nonvolatile memories, nanoscale switching and degradation of resistive random access memory and graphene oxide-based memristor. The modelling of the memristors is required to ensure that the devices can be put to use and improve emerging application. In this book, various memristor models are discussed, from a mathematical framework to implementations in SPICE and verilog, that will be useful for the practitioners and researchers to get a grounding on the topic. The applications of the memristor models in various neuromorphic networks are discussed covering various neural network models, implementations in A/D converter and hierarchical temporal memories. Alex Pappachen James received his PhD degree from the Queensland Micro- and Nanotechnology Centre, Griffith University, Brisbane, QLD, Australia. He is internationally known for his contributions on memristive networks, neuromorphic computing and image processing.